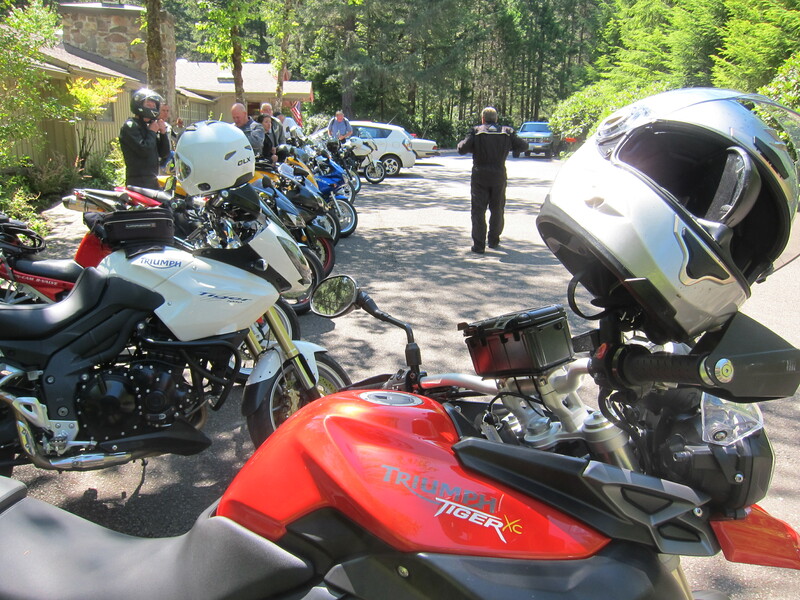 Last year I joined the Cycle Parts Triumph team and friends on their lunch at the Steamboat Inn, on the west side of the Oregon Cascades. I did not ride with them, only met them for lunch last year. 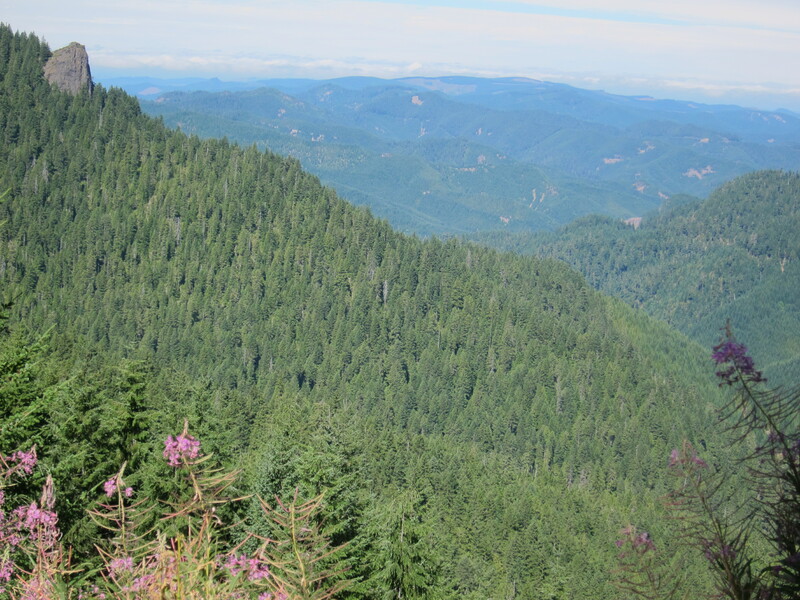 This year I also rode there on my own but this time I returned to Eugene with the group. 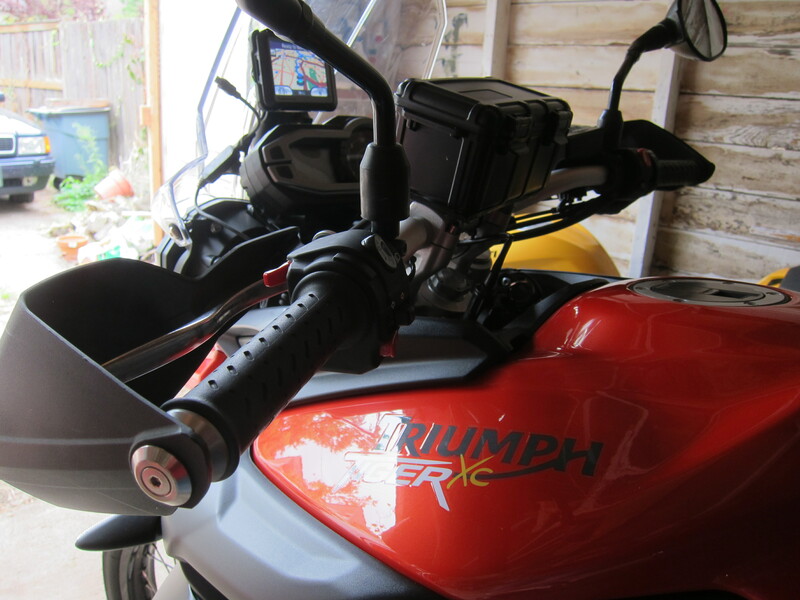 Since the Ducati arrived in my garage the Triumph has been mostly sitting on the back of the garage. What a shame, this is a super nice bike. It was good to take it out for a ride and be reminded of how nice a bike it is. Perfect for touring, nice upright ergonomics, but with a good touch of “sports” to the motor’s performance. 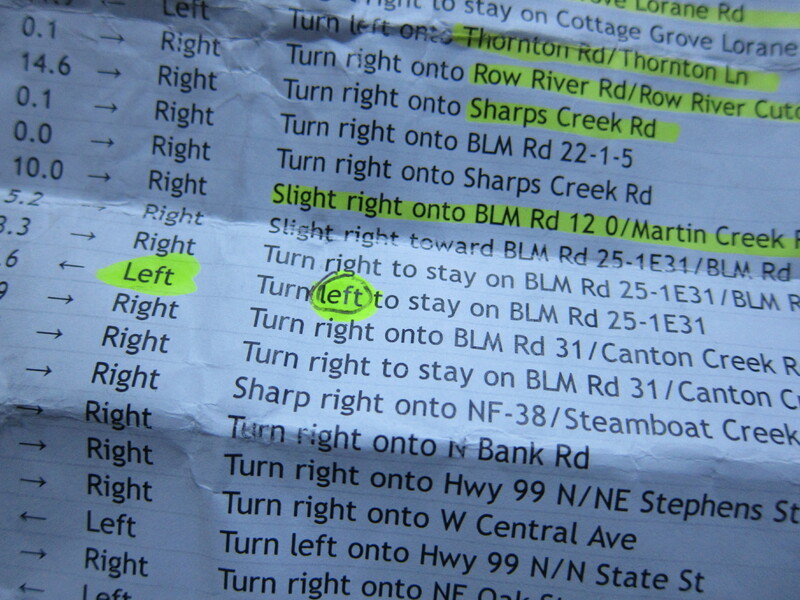 I printed the route directions and followed them to a “T” until I eventually found and alternate way (got lost). But that is too soon in the narrative. I left the gas station close to my house with a full tank of gasoline at exactly 9:30 am. Rod and the rest of the riders were scheduled to leave at 9:30am from the Cycle Parts shop. Since I would be stopping for photos, I figured they would eventually catch up with me if they left on the scheduled time. First stop for a photo op was Dorena Lake, just east of Cottage Grove on Row River Rd. As I continued I stopped at a covered bridge. 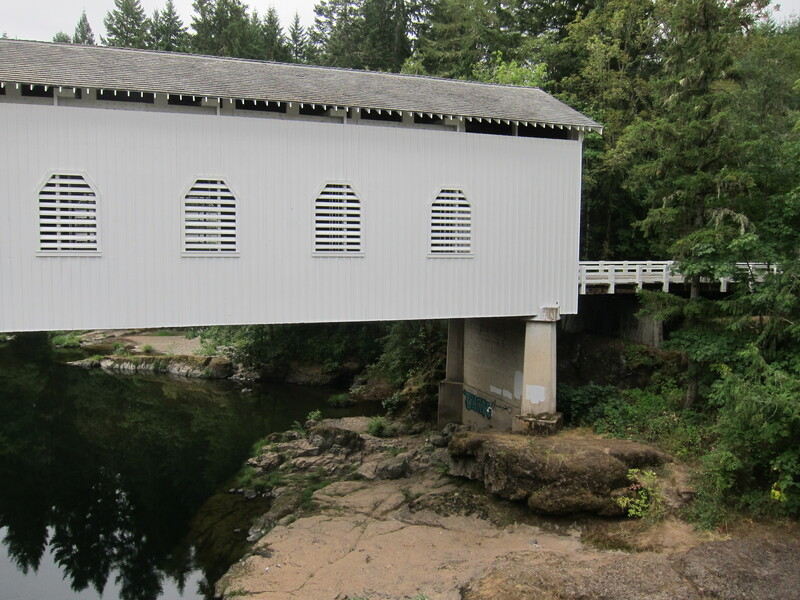 There are several covered bridges in Oregon, this is one of the newest ones, built in 1949. Back on Row River rd, following the directions the next target was to make a right turn on Sharp Creek Rd. I found it easily. 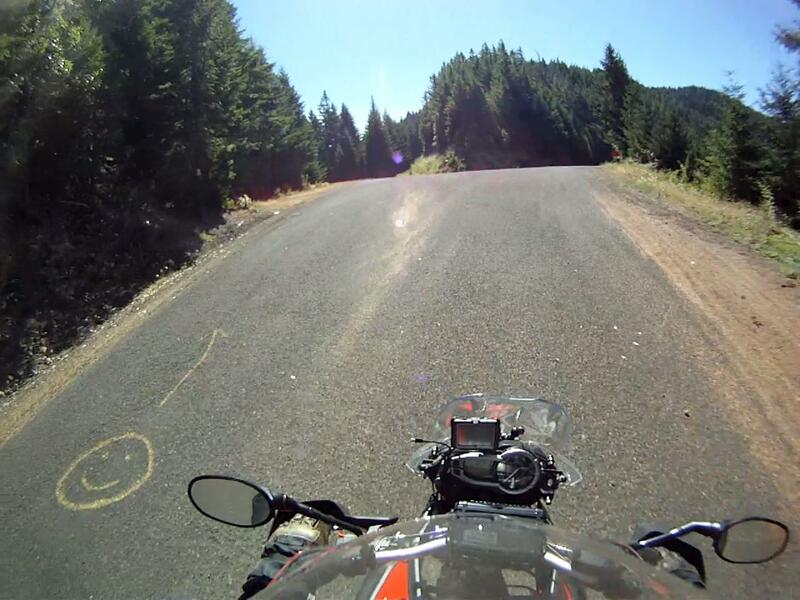 I remember this area from last year and from my first rides in Oregon with the BMW Dakar. 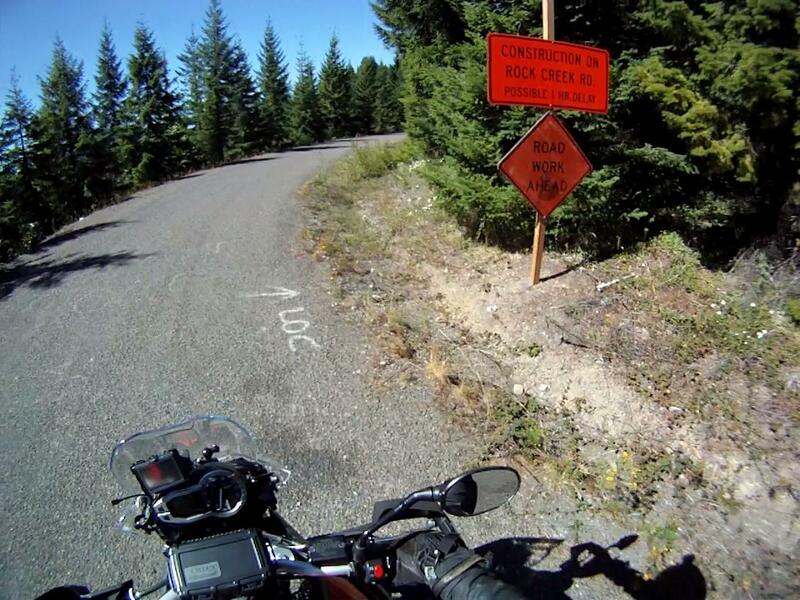 This sign on Sharps Creek road was an assurance that I was on the right track. 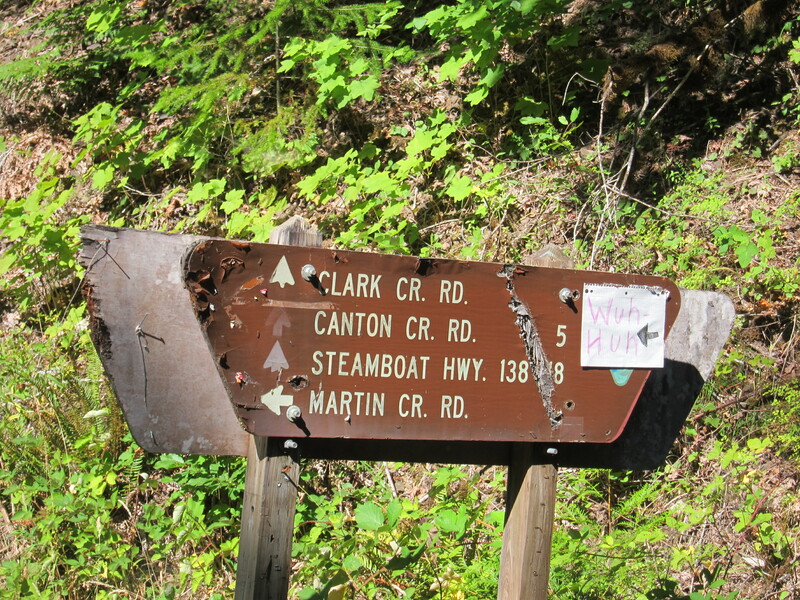 However, to go to Steamboat Inn I should take Canton Creek Rd. Somehow I missed that turn and ended up somewhere else. There was only one left turn option once getting into the maze of one-lane roads in the forest. The only one I missed was this one. I guess I missed the smiley face. My “alternate route” was not a bad way to get there though it added a few extra miles to my route. Eventually I was high enough to be above the low clouds. Great vistas. 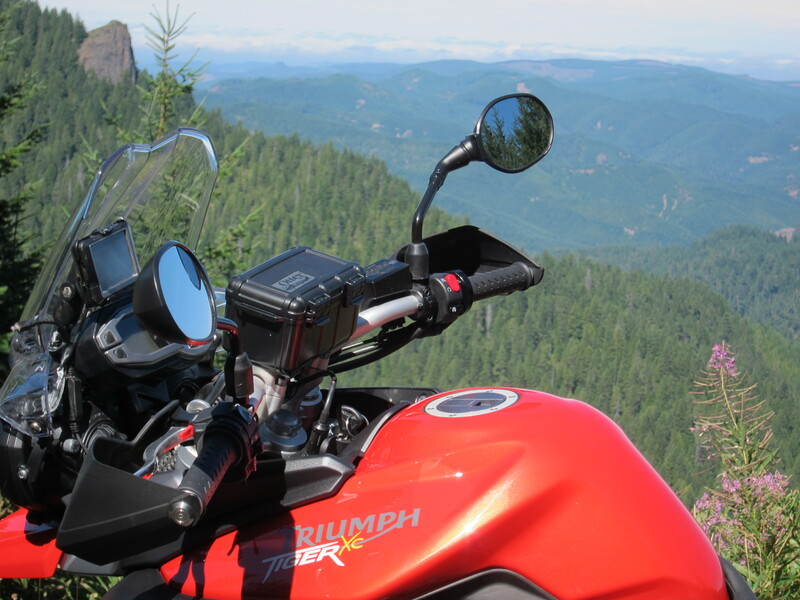 Made better when framed by the Triumph. Eventually it got me to Rock Creek Rd. 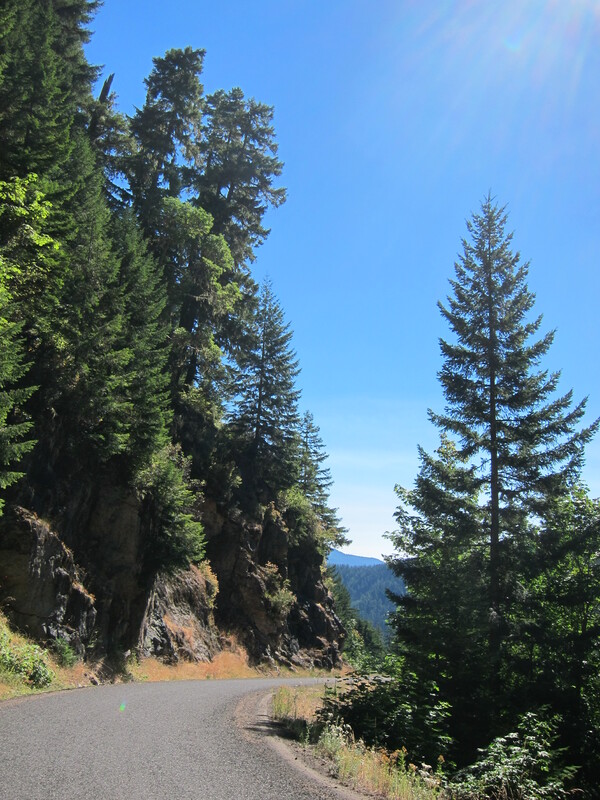 I knew I had to make a left at some point, so I took this one, Rock Creek Road (even though it had a construction warning sign). 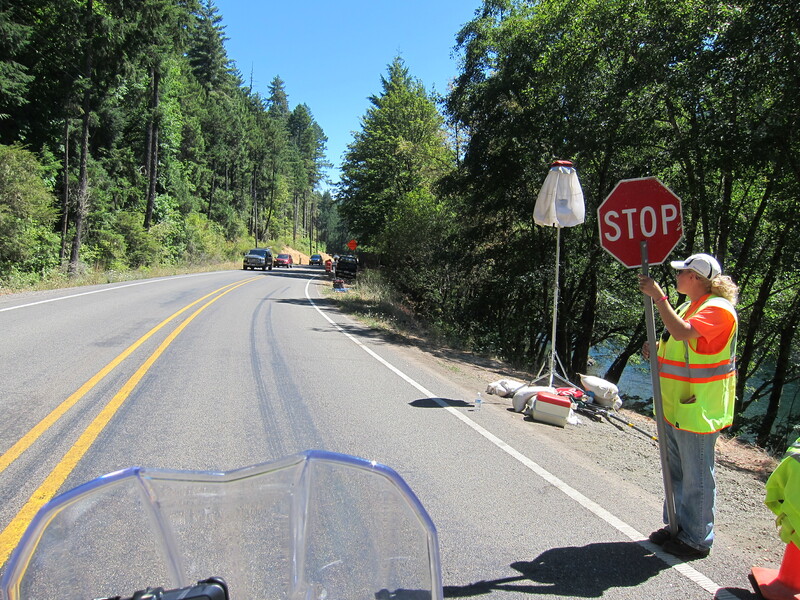 It took me some 20 something miles to get to Hwy 138 on this route. All along I was fearing what this construction would be like. Not a big deal. There were three small sections like this. Not enough of a building character feature on this ride. Eventually I got to Hwy. 138, some 15 miles west of the Steamboat Inn. 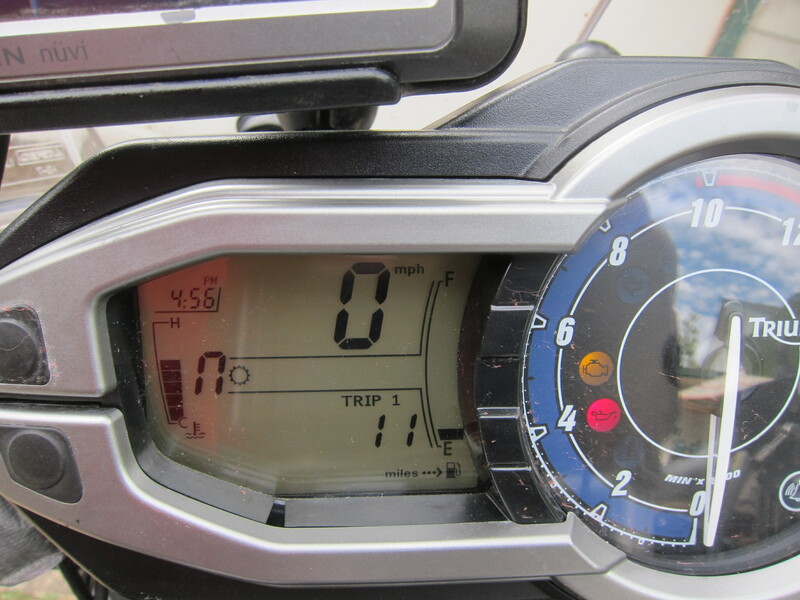 So I knew I had some miles to ride to catch with the group and hopefully I would not miss lunch. 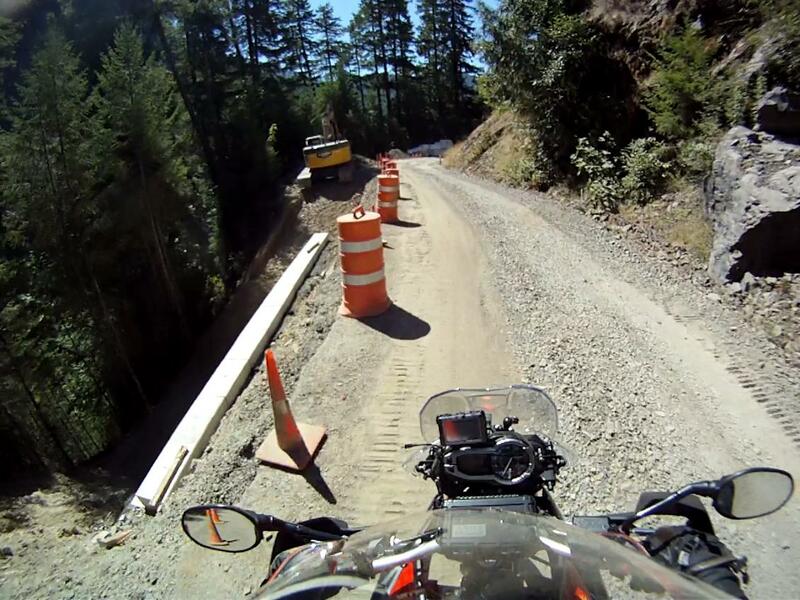 Also went through construction on Hwy 138. When I got to the Steamboat Inn most everyone was already inside. But they had not ordered yet. Timing was good. 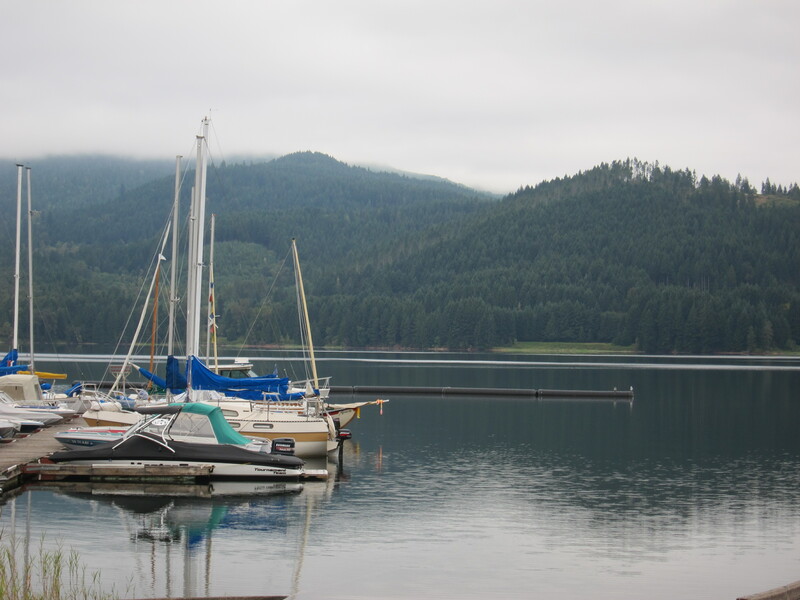 While there, and after I ordered my food, I walked around and took some pictures. 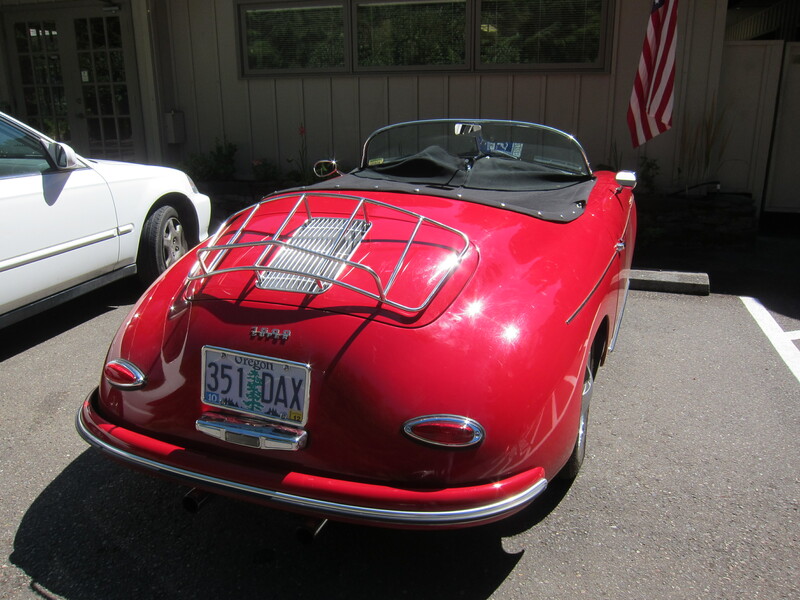 A Porsche Speedster parked in front of the restaurant. Is this the real thing? 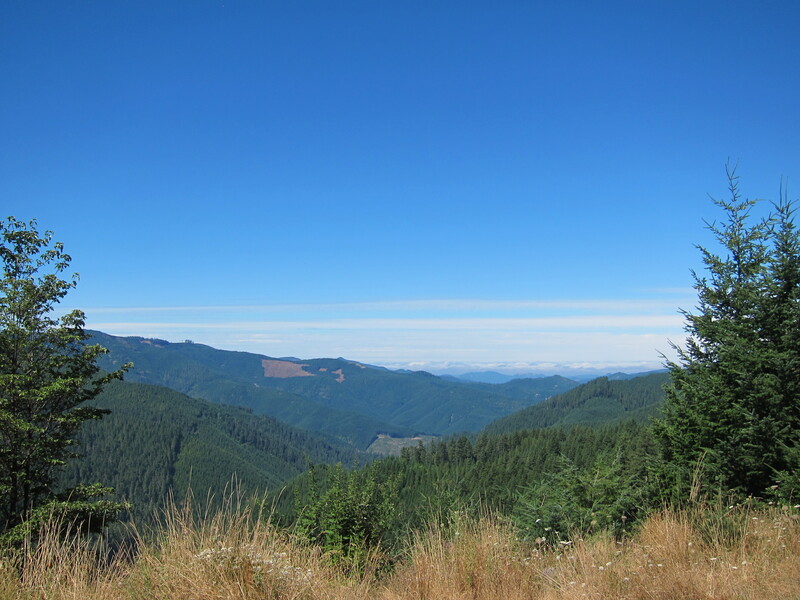 After lunch I decided to ride back to Eugene with the group. The group stopped for gas and I decided not to refill my tank. Let’s see how far can I go with one tank. And because now we would not be stopping for pictures, I’m glad we went through some of the same roads from last year. 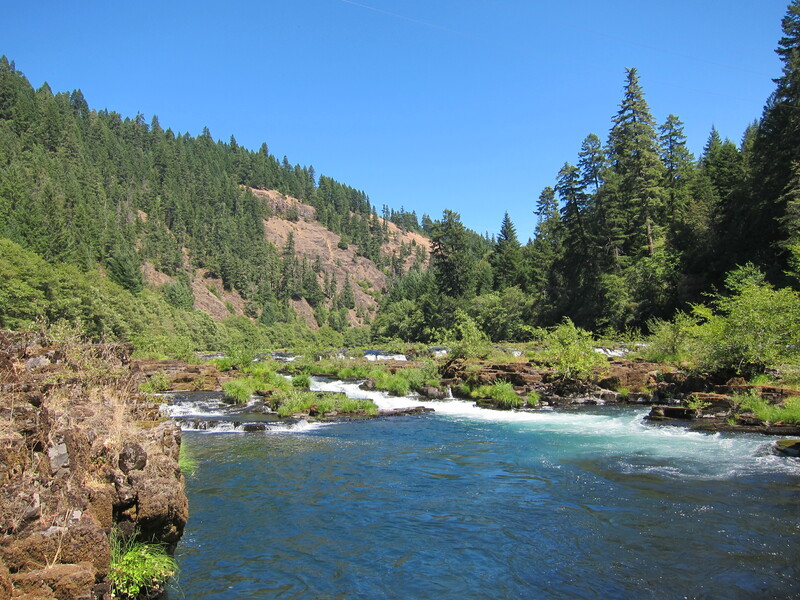 Below is the Umpqua river from North Bank Rd, a photo I took last year. Go here for my report of last year’s ride to Steamboat Inn. 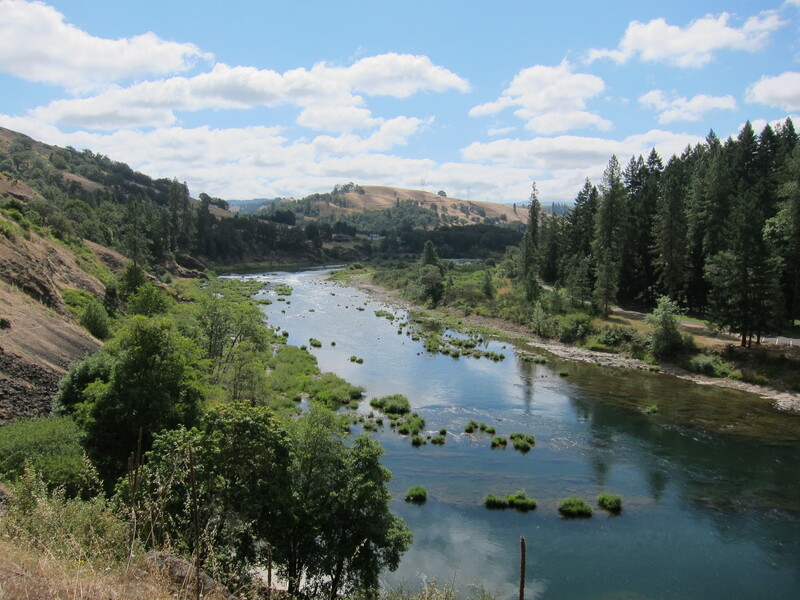 Umpqua River from North Bank rd. Photo taken on August 14th, 2011. 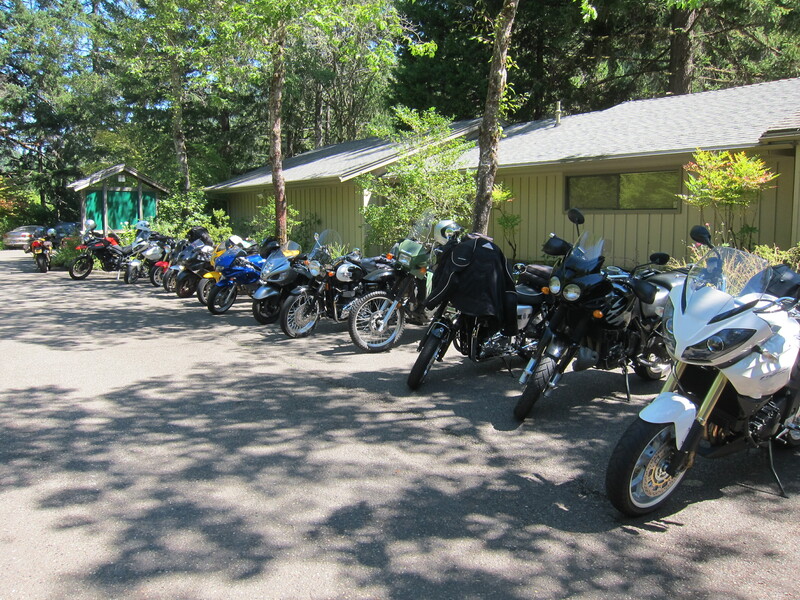 The group stopped again in Drain, Oregon. 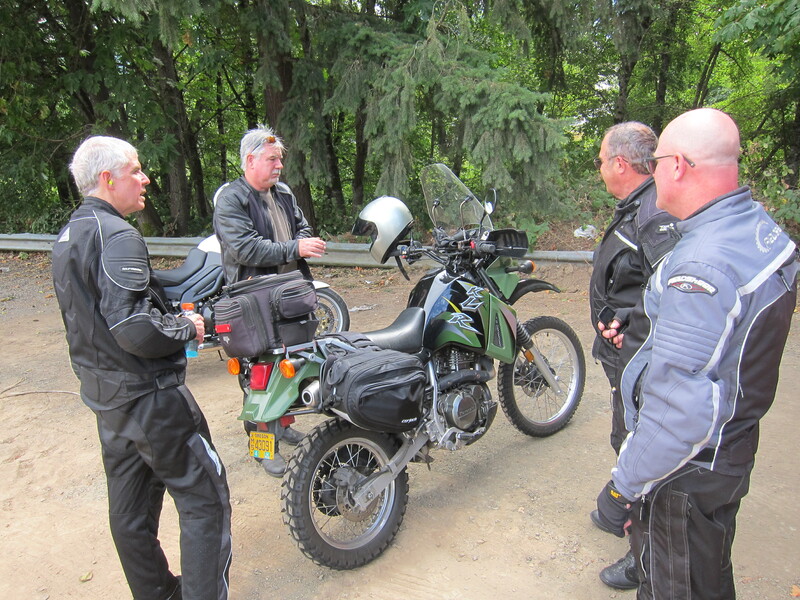 We said our good-byes and I rode back with Rod and a smaller group who were going on my same direction. I was checking my “miles to empty” very closely. I made it home with 11 miles to spare according to the bike’s computer. 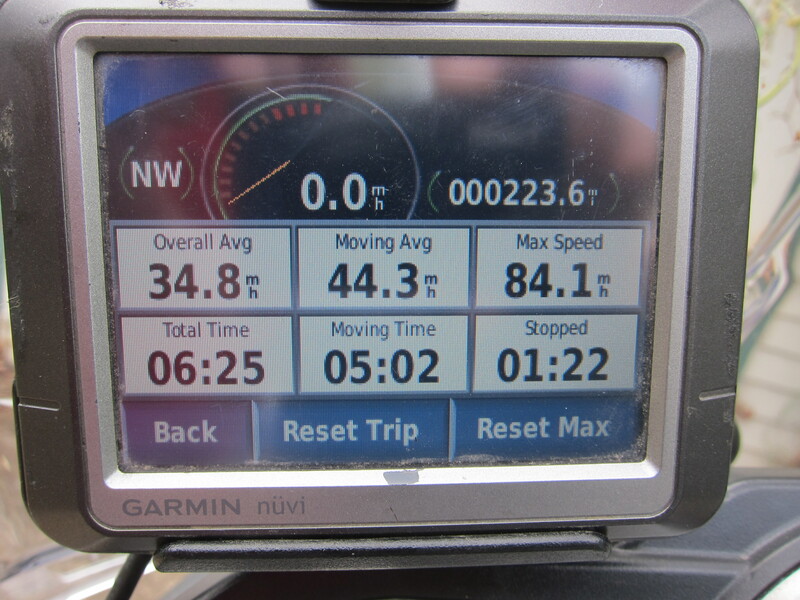 The ride total from home and back was 223 miles (357 km). It was 222 miles since I had filled the tank. Here it is, I can go 200+ miles on this bike with one tank of gasoline. 223.6 miles. It is nothing for this bike. 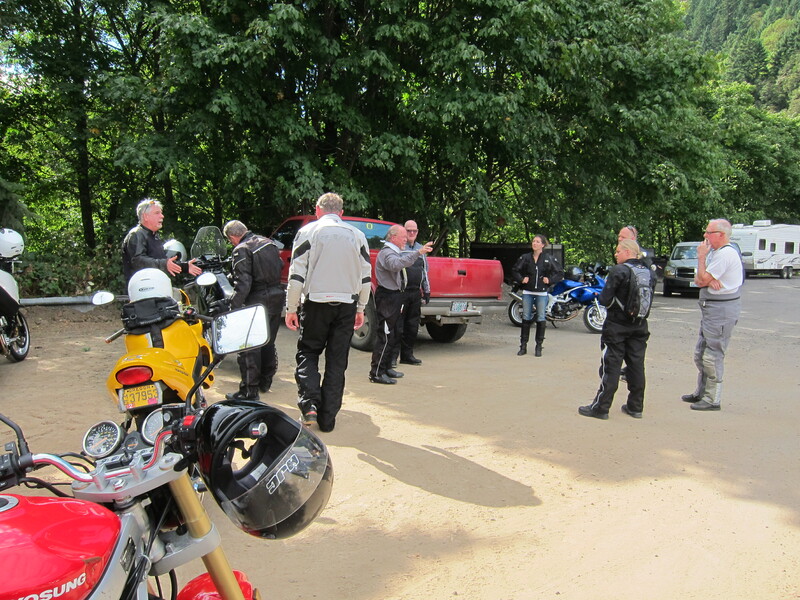 Riding with this group was good. Rod is a good leader, keeps good but safe speeds. Everyone rode very well. And because I could not stop for pictures on the way back, it gives me an excuse to find some of the roads around Oakland, an area where I haven’t been before and I learned on this ride that it has some beautiful landscapes. 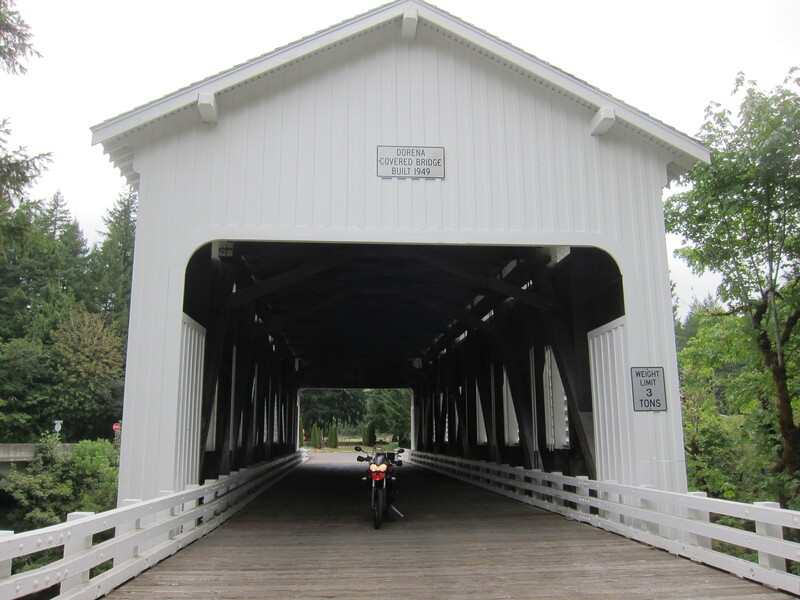 There are plenty of covered bridges in Oregon. I’m sure there is some publication just about them. 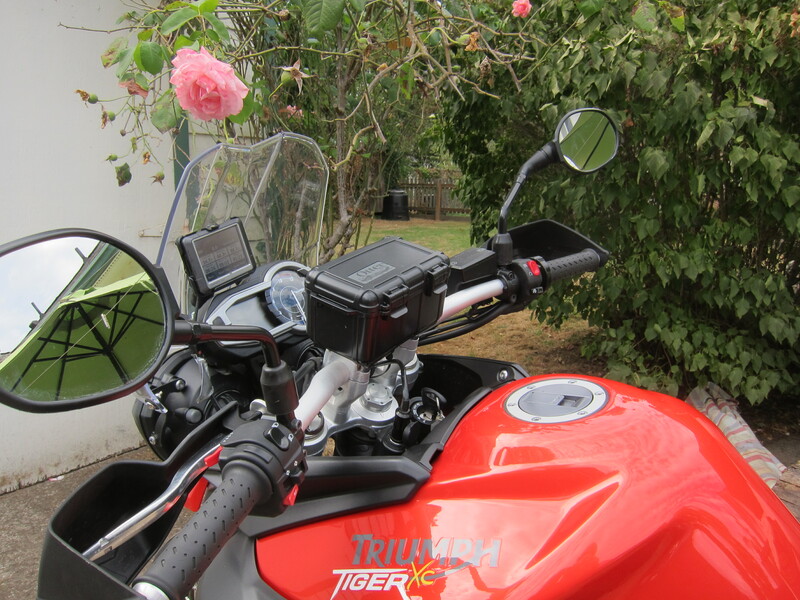 The Tiger 800XC is an awesome bike. Really smooth, very easy to ride. Tall and heavy, though, and the weight is carried higher up. Troubadour was on the Steamboat ride last year. I bet you two were at the same table for lunch and didn’t know it. 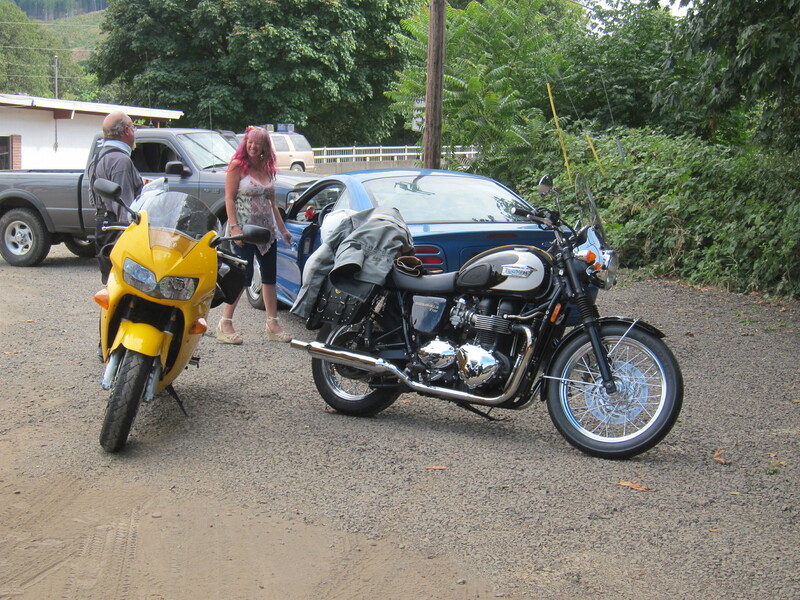 We were both going to go this year, but were in Tacoma for the Ace Cafe Summer Shakedown instead. It looks as though we missed a great ride. Thanks for sharing the ride report.